When it comes to purchase decisions or using everyday products, people want to be served in their own language. In an age of hyper-personalized content and products customized to individual tastes and preferences, appropriate language isn’t simply preferred, it’s expected. Companies should not assume that what works in the United States will automatically resonate in the United Kingdom. 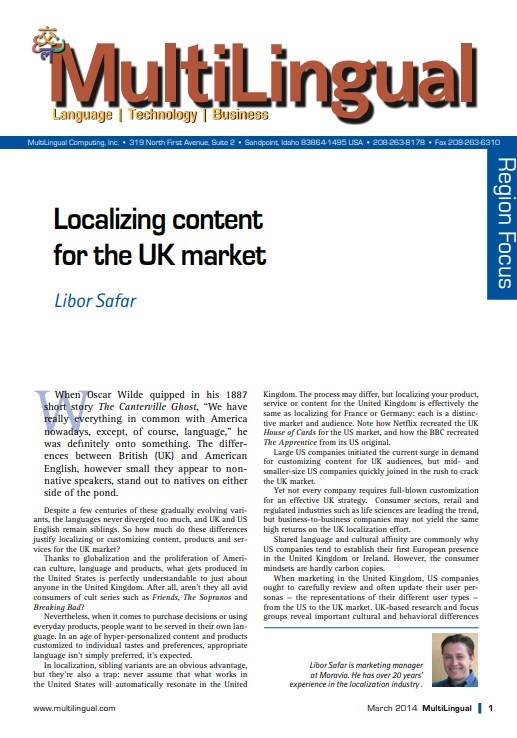 Download this article for insights into adapting US English for UK audiences and the scenarios where the returns vastly outweigh the investment in the form of competitive advantages, better brand positioning and increased customer loyalty.